Batson-Cook began operations in 1915 in West Point, Georgia. In the early days, business focused on the textile industry, and military and other government contracts were soon added. Over the last century, our full range of services has met the challenges of construction projects across every major industry, making us a leader in the southeastern United States. Today, with a staff of highly-trained professionals in our four regional offices, we provide a variety of construction services including preconstruction, general contracting, construction management, design-build, and program management. Supported by the latest technology, our staff offers innovative cost-saving solutions for a seamless construction process. Our #1 Asset Batson-Cook superintendents and project managers average 21 years of experience in the industry. All of our staff receive thorough mentoring and continuous training on the latest techniques, technologies, and, most importantly, the value of relationships. We also believe in BUILDING RELATIONSHIPS with the communities in which we conduct business through participation in local service organizations and charities such as Boy Scouts of America, United Way, American Cancer Society, Cystic Fibrosis Foundation and Habitat for Humanity. A Relationship Sustained Through Performance At Batson-Cook, the foundation on which we build all our projects is the relationship we forge with each client. This is how we have successfully conducted business for almost a century. By working together AS A TEAM, we assess our clientsâ&#x20AC;&#x2122; needs and guarantee communication throughout the entire process, from concept through construction. On projects large or small, we have a solid history of completing jobs on schedule and within budget. General Contracting The relationship we build with subcontractors combined with hands-on supervision and self-performed work provide our superintendents with a core of experienced crafts people. Construction Management Through the application of integrated systems and procedures, we combine the fundamentals of sound project management with the latest technology to achieve your project goals. Program Management From programming and pre-design, through design to final construction, we manage the schedule, cost, quality, and scope to minimize the owner’s risk. Design-Build As design-builders, we provide a single-source delivery system for design and construction services. 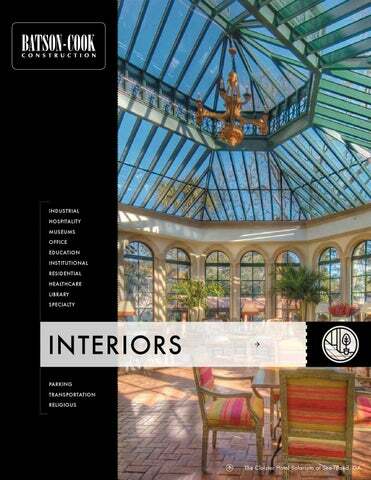 We select and manage the design team best suited for your specific project needs. 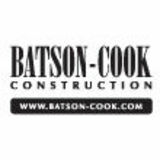 â&#x20AC;&#x153;We continue to be impressed with the extraordinary level of professionalism, commitment and integrity Batson-Cook brings to every project. The craftsmanship and skill displayed by the Batson-Cook personnel assigned to this project were extraordinary, especially today when the fine skills necessary to deal with historic buildings are so rare.â&#x20AC;?